I have been on the fence about starting a blog detailing the challenges and successess of starting a tour company. Is this a good idea? I’m not sure it is. Then again, being transparent is always the best policy. We’re really, really excited to be new. For many years I was a computer entrepreneur and have had many successful interactions and transactions with thousands of customers. For the vast majority of this time I was behind a computer. While I have enjoyed this life immensely I also have a life outside of the comfort of my air conditioned office. I live a life outside too. The cover photo for this blog post is at 10,000 feet, on Mauna Loa. One of my best friends and I hiked the entire length (40+ miles, in a day), got lost, spent the night outside (no tent) in emergency blankets and a single sleeping bag in sub-freezing temperatures. I couldn’t have been happier. In creating software the biggest boulder to move was how fast I could write the code. In tourism this is completely opposite. To succeed the best trait to have and to perfect is patience. I started the path towards the launch of Kona Nature Tours 18 months ago. Yes, 18 months. This week we were finally able to start the marketing assault. Advertising, enabling the desk booking systems, bribing the desk agents, things like this. Hawaiian time is a reality. In life, everything takes time. In creating a company here in Hawaii even taking time takes time. Finding a used van in good condition with low miles (we have a NEW Mercedes now) – two months. Obtaining high-risk insurance (VERY expensive) – two months. Obtaining our PUC clearance – three months. Building a website – four months (the images, and travelling to all locations in our gallery). Locating a new vehicle – 2 months. Waiting on the DMV for plates – 1.5 months. Waiting on other various agencies to finalize contracts and assignments – 6 months in total. We’re about to see. Programming computers tends to be a fairly isolating experience.  I started Kona Nature Tours to live a life with people.